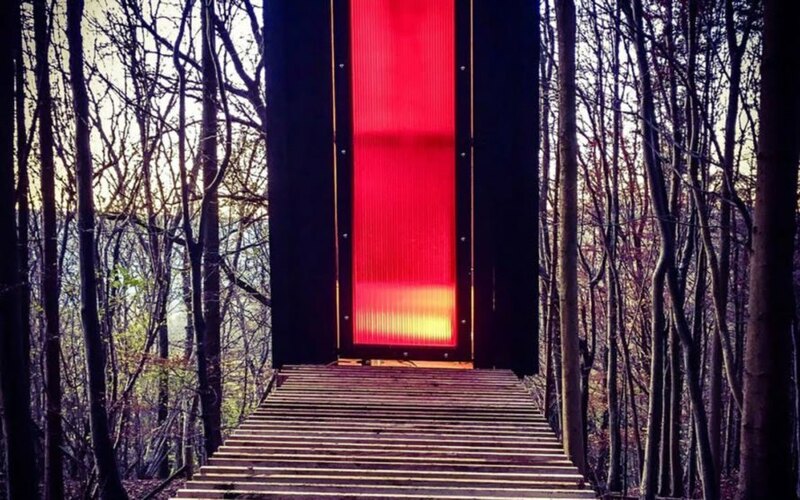 This eye-catching composting toilet called The Long Drop was built entirely from scavenged and waste materials. Invisible Studio Architects designed and built the project to serve their own studio in the UK, with the aim of reducing costs and mitigating any impact on the local drainage system. The toilet features a system that eliminates foul odors thanks to a long drop from the main structure to the chamber. An exhaust fan draws air into the chamber. The chamber for solids can be easily swapped, leaving a full one to compost, while the empty one is in use. The studio designed the project with minimal drawings, and built it with help from friends and neighbors using locally-sourced wood; they embraced the building’s rough edges and “mistakes” as a healthy sign of improvisation. 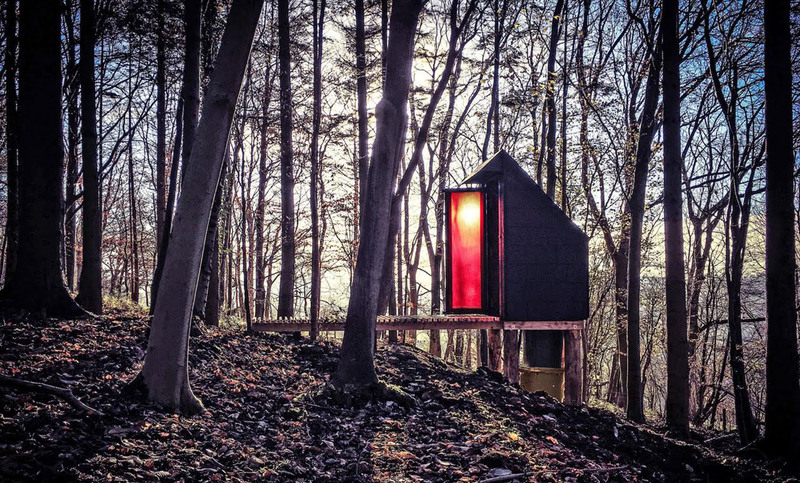 This beautiful, inexpensive composting toilet, named "The Long Drop", was built entirely from scavenged and waste materials. Invisible Studio Architects designed and built the project to serve their own studio without having any impact on the local drainage system. 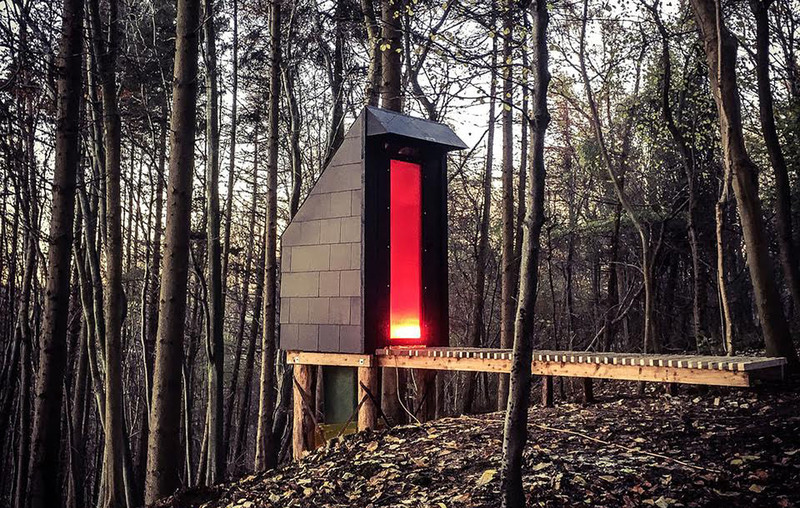 The toilet features a system that eliminates foul odors thanks to a long drop from the main structure to the chamber. An exhaust fan draws air into the chamber. The chamber for solids can be easily swapped, leaving a full one to compost, while the empty one is in use. The studio designed the project with minimal drawings and built it with the help of friends and neighbors using locally sourced wood. The studio kept all of the building's rough edges and "mistakes" made by unskilled labor and embraced them as a healthy sign of improvisation.